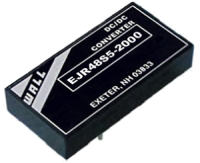 The EJR series of DC/DC converters provide 10 watts of output power in a 2.0″ x 1.0″ x 0.40″ package. This series offers single or dual outputs and a 2:1 wide input voltage range of 9-18VDC, 18-36VDC, or 36-75VDC. 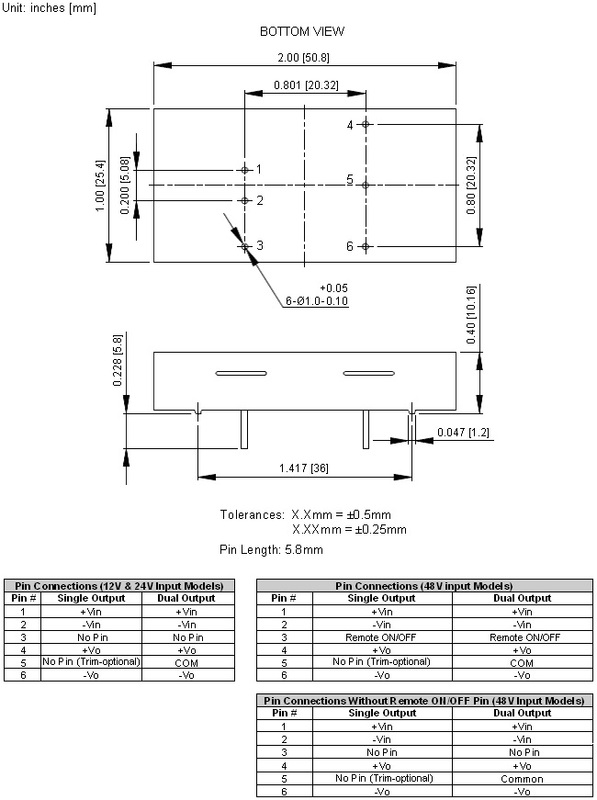 These units are also PCB mountable. This series is the “Economy” version of the JR series. Voltage Accuracy: ±1.0 Vo Max. Notes: 1. To order models with Trim function add the suffix "-T" to the part number. This option is only available for single output models. 2. 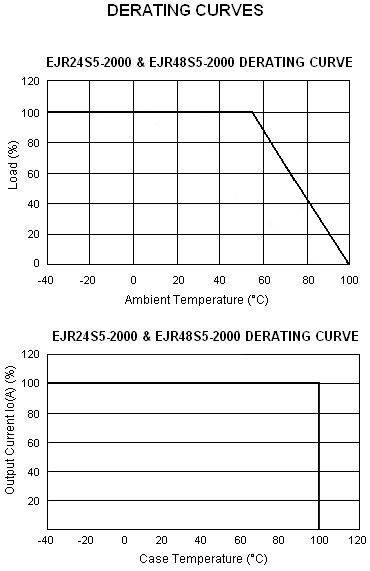 Remote Control is only available for 48V nominal input models. 3. For 48V nominal input models without the Remote ON/OFF pin add the suffix "-1" to the end of the part number. 4. Over Current and Short Circuit Protection are only available for the 3.3V single output and the 5V single output, 48V nominal input models.